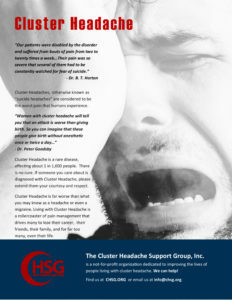 Attacks of cluster headache are difficult to treat. Sumatriptan, an agonist of 5-hydroxy-tryptamine1—like receptors, has proved effective in the treatment of migraine. The clinical similarities between migraine and cluster headache and positive results from an open pilot study in patients with cluster headache indicated that sumatriptan should be evaluated more rigorously in the treatment of this condition.